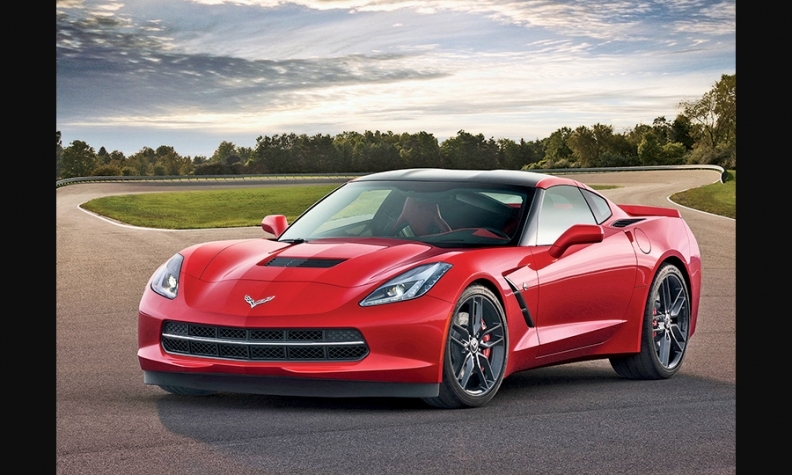 In the early scramble for 2014 Corvettes, some dealers are demanding $10,000 or more above sticker. DETROIT -- Chevrolet dealers preparing for the 2014 Corvette Stingray's arrival in early October face a choice between a short-term windfall and long-term loyalty. Do they take advantage of feverish early demand for the first Vette redesign in seven years and charge thousands above list price? Or do they score loyalty points with customers by sticking to the sticker? Some dealers seem ready to risk a little wrath. In a recent post on a Corvette fan message board, an irate customer of a California dealership griped about the price quote he received on a Stingray: "$10K" above sticker. Because the poster had bought a Volt plug-in hybrid from the same store two years ago, he figured the sales manager wouldn't gouge him on the Stingray. "Needless to say they just lost me and my wife as customers," he fumed. Price gouging isn't uncommon during the start of buzzed-about launches. In late 2010, some Chevy dealers marked up the Volt by $10,000. Launches of the 2008 Dodge Challenger SRT8 muscle car and the 2000 Chrysler PT Cruiser also commanded prices far above sticker. The Stringray launch offers especially fertile ground for dealership gouging, given the sports car's fervent fan base, critical acclaim for the redesigned model and the likelihood of tight supplies early on. The Stingray's base price is $51,995 for the coupe and $56,995 for the convertible, which won't arrive until late in the year. Both prices include freight. Research firm IHS Automotive expects General Motors to produce 12,000 units this year and 30,000 next year. More of the cars than usual likely will be earmarked for overseas as GM seeks to build the Corvette brand globally. A GM spokesman wouldn't confirm production details and said the automaker can't control prices that dealers charge. Coughlin Chevrolet in Pataskala, Ohio, near Columbus, is putting a priority on customer loyalty by charging list price, says Rick Conti, the store's Corvette sales manager. Coughlin, one of the nation's top Corvette sellers, already has nearly 100 Stingray orders and expects to sell an additional 75 during the 2014 model year, Conti says. "Guys who go above sticker -- that's a one-shot deal," says Conti, whose e-mail signature reads "Rick Corvette Conti." "These are customers who you're going to see again, and they'll remember that. I'm looking at the bigger picture." A manager at a Chevy dealership in the West, who spoke on condition that his store not be identified, says he will sell his initial Stingrays for thousands above the list price. He says mystery shoppers dispatched by his dealership into rival Chevy stores routinely have been quoted prices of $10,000 to $20,000 above list. Managers at his store have decided on markups half the size of the competition's. He figures the store can please zealous shoppers by helping them be among the nation's first Stingray owners, but at a lower price than rivals are offering. "If the competition is charging $15,000 above," the manager says, "we'll charge $7,500."